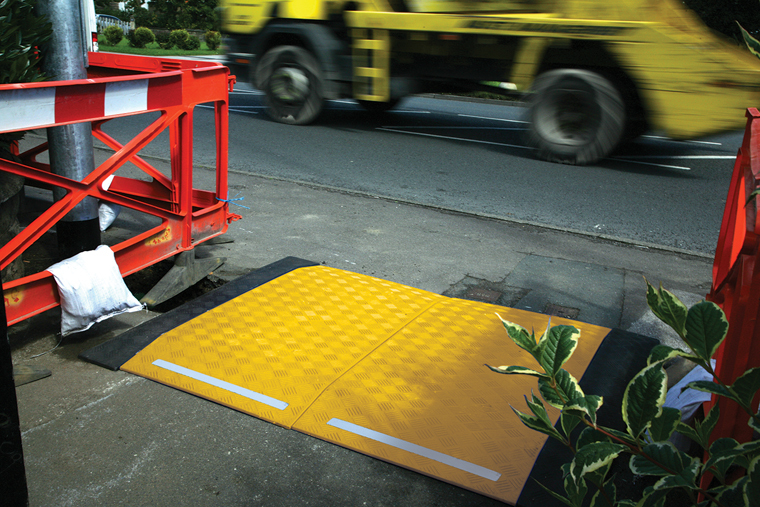 For street cover that is safe, strong and second to none, the TrenchGuard system sets a new standard in trench cover safety. 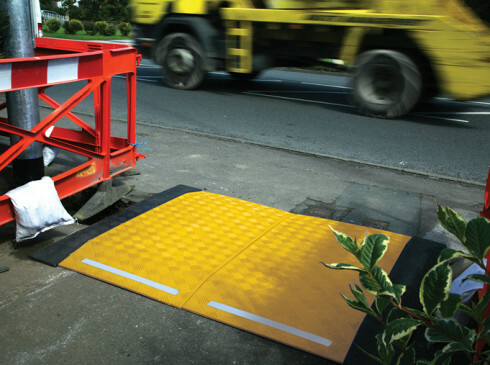 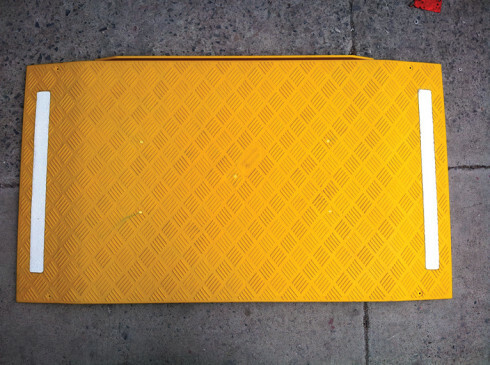 Featuring special interlocking flange joints to eliminate panel movement, an anti-slip tread pattern for extra foot and wheel grip and high visibility yellow reflective strips, TrenchGuard is safe and secure. 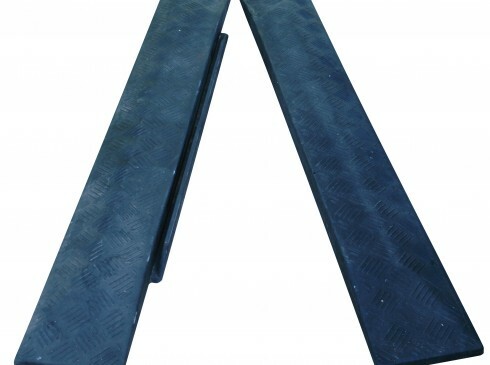 TrenchGuard panels have interlocking flanges that connect firmly together to prevent movement. 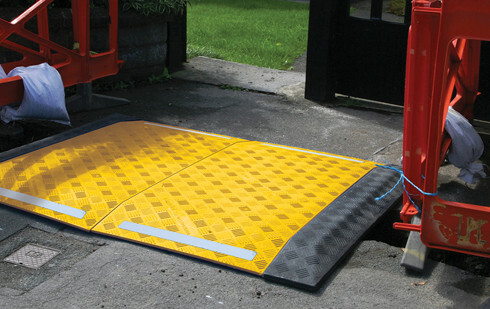 The system is easy to handle and fix together with no specialist or expensive equipment needed. 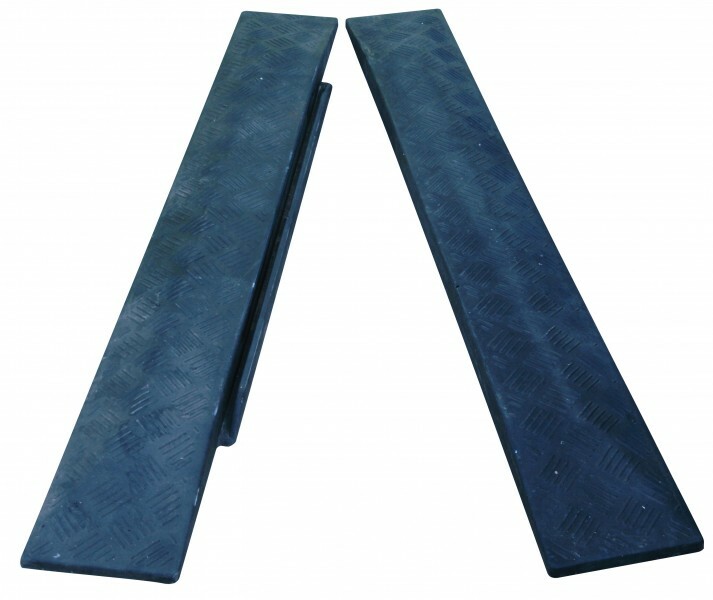 The TrenchGuard system supports loads of 500 kg per wheel over a 600mm trench. Click here to download the TrenchGuard leaflet.